I have shared about the Underwater Photography Retreat I attended in Florida couple weeks ago and how excited I was to visit Ginnie Springs. The Retreat, led by Underwater Kids, was officially over mid morning on Sunday. My flight home to Charlotte, NC wasn’t scheduled until later in the evening though. What was a girl to do with a brand new Ikelite and so much time? Head back to Ginnie Springs for a day of freediving fun of course! We had a crazy amount of fun working with expecting moms, families, styled teens and children in the springs on Saturday. But being back there just my friend Christi and I? The freedom to just swim and dive in this gorgeous water was incredible. And of course, with two underwater photographs freediving together – there were lots of photos! As I photographer I absolutely recognize the value and power of brand images that truly capture a business owner in their natural element. But as an Underwater Photographer in Charlotte, I don’t have a lot of opportunities to have others capture *me* underwater. I was so excited about the idea of Christi and I capturing branding images for each other in such a beautiful location. But seriously. I am absolutely blown away by these images my friends. Christi is an incredible open water underwater photographer. She captured me and all my love and joy of the water in such a special way. Her colors and tones in underwater editing are just fabulous. And the way she captured me amazes me. When she sent me the file of these images to download, it was titled “Renee in her Happy Place”. I don’t think I could have created a more appropriate description. It is a good thing I had to return those fins to the rental shop by 5pm ~ or I may have missed my flight home!! My favorite part of this image? You can see Christi’s reflection in the dome of my Ikelite! Best Self Portrait Ever my friend! Y’all! That hole is the entrance to a diving cave – and those bubbles are the pockets of air escaping from the cave system below! Christi is amazing with her “under/over” Underwater Photographs. I am excited to finally have a dome to explore this style of imagery! All Photographs in this post are of me, Renee Stengel, taken by Christi Allen Curtis Photography. 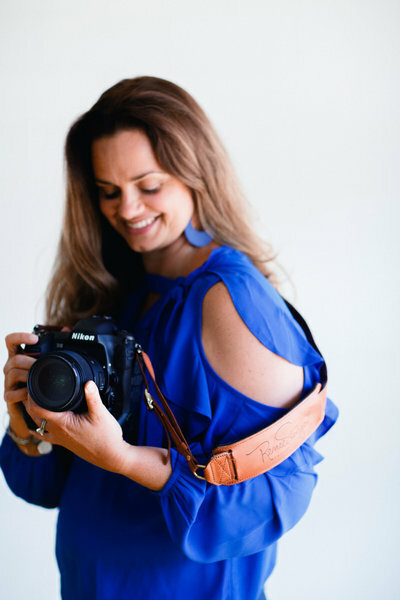 Christi is an Underwater, Lifestyle and Family Photographer based out of the Tampa Bay area of Florida and one of the team members at Underwater Kids.